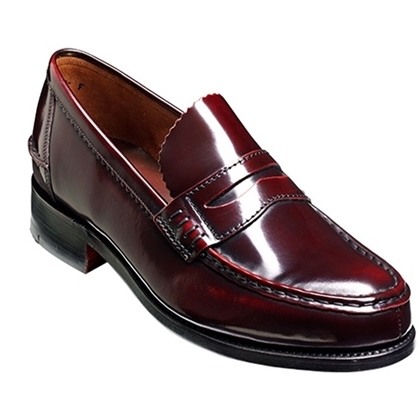 Caruso was designed by Albert Barker in the early 1960's, taking inspiration from the popular American classic 'Penny loafer'. Albert set out to design a Barker version on a new last at the time - shape 10. A subsequent 60 years later, Caruso and the shape 10 last are still a cemented part of our in stock collection, available in Black and Burgundy Hi-Shine with a hand stitched apron and saddle.